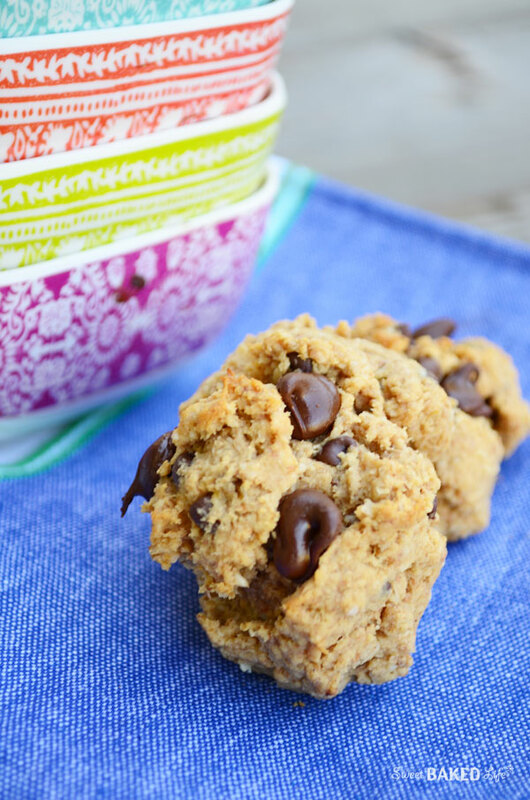 Spread the love with a batch of these soft baked Peanut Butter Banana Chocolate Chip Cookies. It’s true, your friends and family will love these melt-in-your-mouth, fluffy cookies. They’re so good, no one will know that they’re gluten-free! I tested them on my family and they loved them. And by the way, I did not even tell them the healthy secret! The texture is amazingly soft; not normally what people perceive when they are told a baked good is gluten-free. I know of people who get turned-off when this word is mentioned. For me, I am always looking for healthy alternatives that I can sneak into my day-to-day eating. Now mind you, I do not have to eliminate this popular staple from my diet, but I do know a lot of people who do; for health reasons that is. So, today, I am extra happy to be able to share this fabulous recipe with everyone, especially to my gluten-free friends! So, if you’re a huge peanut butter and banana fan you will love these. And with the addition of chocolate chips, well, it makes them even that much better (if that’s possible!). This treat is super easy to make and are incredibly satisfying. 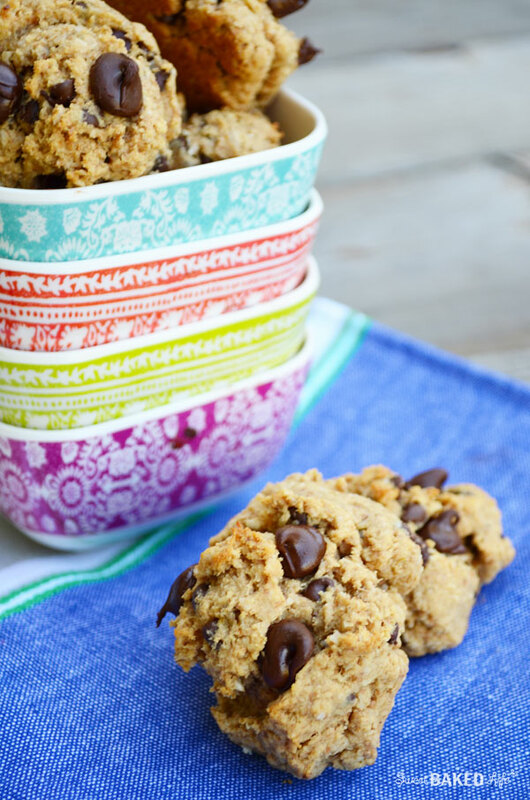 With each bite you’ll experience a soft oat texture, surrounded with peanut butter and banana flavors and a sweet explosion of chocolate chips. Ah, divine! And if you are like me, I always seem to have a bunch of over-ripe bananas available. You see, for some reason by the time I go grab one of these yellow babies, they are past the point I am willing to peel them! So into a recipe they go! 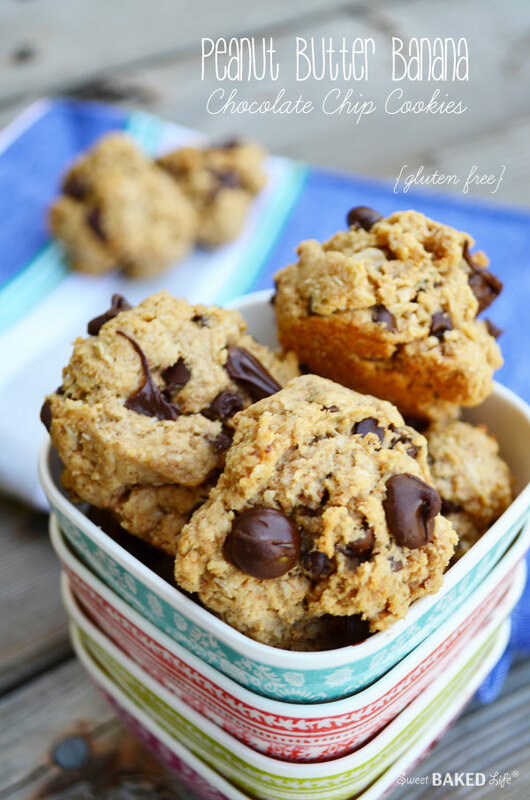 Grab your browned, ripe bananas, your favorite peanut butter, a bunch of chocolate chips, and some oat flour and whip up these gluten-free Peanut Butter Banana Chocolate Chip Cookies today! In a medium bowl, mix the oat flour, salt and baking powder and set aside. In a large bowl of an electric mixer with the paddle attachment, add the butter and sugar and beat until fluffy. Add the peanut butter and banana and mix until incorporated, then add the vanilla. With the mixer on low, add the oat flour mixture until just combined. Scoop the dough using a 1-inch ice cream scoop, and place onto a baking sheet. Bake for 12-14 minutes. Cool on a wire rack. There will definitely be a whole lot of lovin’ going on when you bake up these Peanut Butter Banana Chocolate Chip Cookies! Wow – just saw this after buying a bunch of bargain bananas at $1.99 per kg – what other flour could I use in place of oat flour? I think I’d be yelling it from the rooftops…even if my kid heard me…THESE ARE HEALTHY! I think he would hear BANANA AND PEANUT BUTTER. These look amazing! Thanks for linking up at #FoodieFriDIY!